User provisioning/governance software gives a single point of maintenance to manage user access to IT applications. Companies need identity governance programs to maintain organized records of user information such as personal information, account histories, or application credentials. These confidential records can be used by employees and administrators to retain information and regulations. IT managers and administrators utilize the information in these systems to automate tasks such as account creation, editing, or deleting, which can help facilitate employee lifecycle changes like onboarding, promotions, or termination. Human resource workers may utilize the databases as well to aggregate information about employees and monitor access requests. There is significant overlap between user provisioning software and cloud identity and access management. Many products function on a hybrid on­-premise and cloud level, but user provisioning/governance tools may not be able to provide remote access. These products will also often integrate with or provide SSO/federation or password management capabilities. User Provisioning/Governance reviews by real, verified users. Find unbiased ratings on user satisfaction, features, and price based on the most reviews available anywhere. Exchange Administrator builds on Directory and Resource Administrator and easily restricts Microsoft Exchange administrative privileges to specified roles or individuals. NetIQ Group Policy Administrator is a centralized management tool that allows you to edit, test, review and compare GPO changes before implementing them in your live environment. Nervepoint Access Manager is a complete self-service password rest and account unlock tool. It empowers end users to manage their accounts by synchronize across on-premise and cloud systems. It encompasses remote management with it's own dedicated mobile app, available both on iOS and Android. Privilege and Access Management Solution (PAM). Secure Access to Servers,Containers and Apps in 60s. 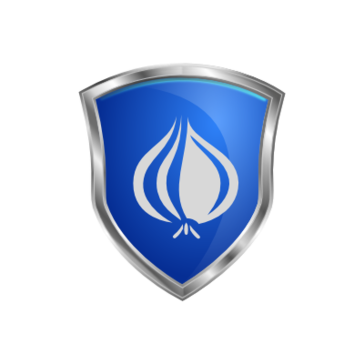 Onion ID makes life easy for CISOs, CFOs, IT and DevOps. Security, Visibility and Auditing in one easy to use solution. The Next Generation of Access and Privilege Management. PeoplePlatform helps create, update, and deprovision users and other objects in any directory. Whether you are in the office, sitting on a train or resting on a beach, RapidScale’s Managed Office 365 solution allows you to work seamlessly from anywhere, on any device, at any time. Our reliable engineers are available 24x7x365 to support and manage your every need. In addition, we provide add-on data migration services for clients wanting to move email workloads to Office 365 from a host of other complex environments. AD Console gives a simplified platform for managing the Active Directory. The software enlists all the users within the software interface and provides option to create, delete, and rename the users within the Organization Unit. For using the tool, the login details (username and password) for the AD is required. Vault One makes your company safer & smarter, Password and Access management security for applications, websites, cloud services, and infrastructure. Xpress Governance is an access governance tool that helps enterprises to address business challenges, such as continuous compliance, user access certification and consistent access monitoring across heterogeneous applications. Built on industry leading and proprietary technologies, it offers a comprehensive suite of features that enable organizations to take control over its IGA challenges cost-effectively, quickly, and with ease. Youzer is an online software for managing and monitoring IT and SaaS accounts that helps companies assign relevant tools to their employees and control the use of SaaS applications within their IT system. IT, HR, and Managers can manage and automate provisioning of IT resources for users, account creation / deactivation, anomaly detection, cost analysis, and IT security from a single dashboard and centralized. A Youzer profile can be created for each new integration employee, who specifies their role, their manager, and their location, and gives them access to all the software and tools they need to do their work. External service providers such as accountants, consultants, volunteers or temporary workers may also be incorporated as users. A selection of tools is provided to prepare the resource options to be assigned to each user, and Youzer automates account creation, provision of resources, and access code communication. Notifications are sent to HR and IT managers in advance about the arrival date of each new employee, eliminating surprises. Youzer provides IT, human resources and managers with centralized access to all users of the IT system. A comprehensive user list lets them know in real time who has access to which resources and directly change the access rights of a particular user. Organizations can also see the number of users assigned to each software and compare the resources assigned to users with the same role to tailor each user's accounts. Features for outsourced employees ensure that access is not left open to employees who have left the business through a pre-scheduled automatic suspension of resources on departure dates. Hi there! Can I help you find the best User Provisioning/Governance solutions?